Kindly note that as per the verdict of Supreme Court, PUC will form a part of the mandatory claim documentation. 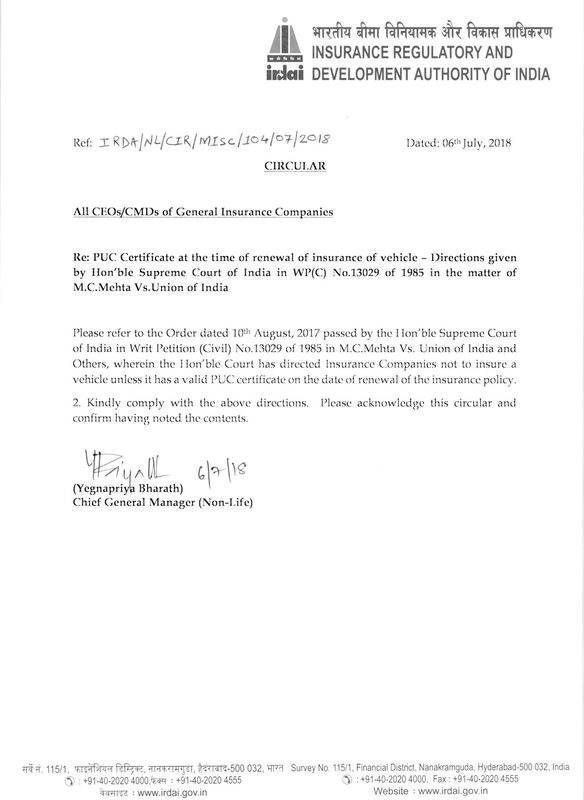 In the event PUC is invalid on the date of car accident the claim shall be put up for repudiation. Kindly check PUC regularly & keep PUC document safe with your car as well as take a pic & save with you in mobile.